Phoenix Arizona - serving all city parks. Mr. B's Moonwalk delivers and sets up inflatable rentals for Phoenix including Glendale Avondale Litchfield Park Peoria Anthem Scottsdale Paradise Valley North and Central Phoenix and Tempe. Visit our website for more information. 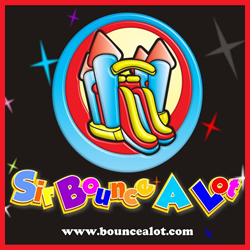 Sir Bounce Alot Inflatable Party Rentals knows how to serve up a great time as we are the largest inflatable provider in the Phoenix area. Contact us for bounce house rentals, concessions, mechanical bull, rock climbing walls, bungee trampolines, and more for your party or special event. Your Deer Valley Bounce Business HERE! Add your Deer Valley bounce house business to BounceHouseGuide.com and begin to advertise your Deer Valley bounce houses today! 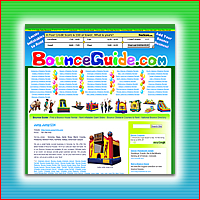 Bounce House Guide is the most complete online resource of Deer Valley Bounce House Rental information. Find a Deer Valley Bounce House For Rent, search for Moonwalks, Jumping Castles, Deer Valley Inflatables, Obstacle Courses, Sumo Suits, Jousting, Deer Valley Giant Slides, Party Rentals, Deer Valley Festival Rentals, Deer Valley Event Rentals, and more! Do you own a Deer Valley Bounce Business? We also feature HOT ways to advertise and market your Deer Valley Bouncey House Business. Add a Deer Valley Bounce House Business or take advantage of our Premium Bounce Directory & Featured Listings. Buy or Sell Equipment in the Inflatables Classifieds. Promote your Deer Valley inflatable business with Bounce House Marketing Products, follow us on facebook Bounce House Rentals or twitter Bounce House Rentals, discover multi-site marketing with the Kids Party Resource Network, or Advertise a Deer Valley Bounce House Business For Sale.